The process of paintless dent removal in Salisbury NC is replacing the need for more serious bodywork in many cases. Rather than a vehicle needing to be admitted to a garage or requiring the use of body panels being removed to fix a simple dent, there are tools in paintless dent removal that can bring down the cost of most bodywork. Paintless dent removal utilizes simple techniques and the preserves the original finish on your vehicle to reduce the look of damage and to bring down the cost of body work considerably. The results are spectacular and the cost is just a fraction of traditional bodywork. What makes paintless dent repair even more compelling to try is that it can be performed almost anywhere. Companies like Piedmont Dent Repair can perform mobile dent repair near me in Salisbury NC and at rates that are considerably cheaper than what you would expect to pay to bring your vehicle into a garage. Piedmont Dent Repair can perform services like mobile dent repair and paintless dent removal in Salisbury. Offering prices that are affordable, along with current industry standards and quick results, you won’t have to worry about your vehicle being stuck in the garage for an entire day, just for minor body work. The process of mobile dent removal can be very easy. When you call us, a technician will arrive at your vehicle and assess the damage. If the dent is deemed a good candidate for paintless dent removal, mobile dent repair will be performed at the quoted cost that the technician provides and in just a short time. Technicians here at Piedmont Dent Repair really vouch for their work as well. 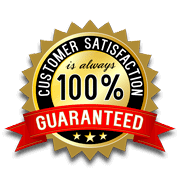 We offer a satisfaction guarantee on all labor! We will perform a secondary repair if you are unsatisfied with the results. If you would like a quote on hail dent removal or mobile dent removal today, contact the experts at Piedmont Dent Repair serving Salisbury NC. Our team is here to have your vehicle repaired within just a few hours of you calling.